Best Cockapoos matches family raised Cockapoo puppies of outstanding health, temperaments, and looks to well-matched forever homes. Located in Greenville, SC, we're a premium f1b Cockapoo breeder specializing in merles, phantoms, partis, and chocolate Cockapoos. We serve families from Columbia, Charleston, Rock Hill (SC), Charlotte, Fayetteville, Asheville, and Raleigh Durham (NC), Georgia, Florida, Tennessee, and Virginia. We never our ship our f1b Cockapoo puppies, but occasionally we hand deliver them to families in the Midwest or Northeast. Cockapoos are an intentional cross of a Poodle with an American or English Cocker Spaniel. At Best Cockapoo Breeders we specialize in f1b Cockapoos. F1b stands for "first generation backcross." A first generation Cockapoo (F1) is 50% Cocker Spaniel and 50% Poodle. 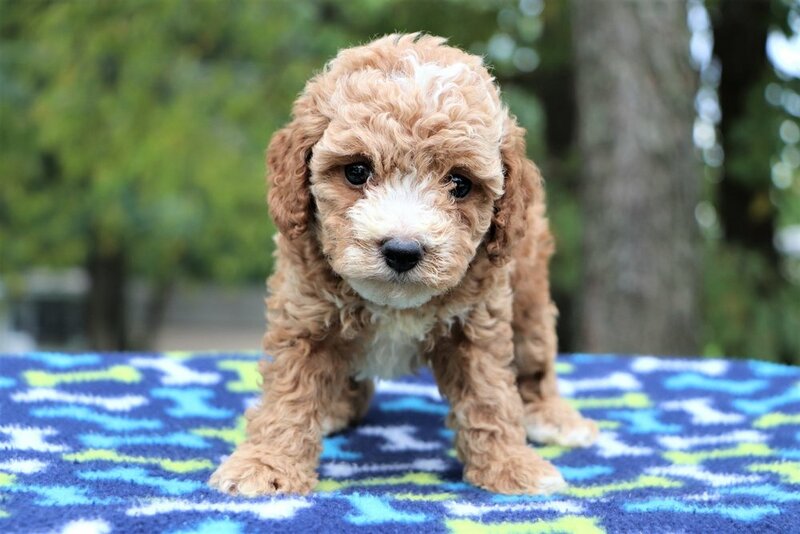 When you take a first generation Cockapoo (F1) and breed that dog back to an unrelated Poodle, you get a first generation, backcrossed puppy (F1b). F1b puppies are especially good for those with allergies, as they almost never shed. F1b puppies also tend to be healthier and more trainable than first generation Cockapoos. Who are We? What's a Cockapoo? What's their personality like? What colors are available? What's the price like for adopting a Cockapoo? Want to see if you're a good fit? We carefully screen all applicants to find the best fit for our occasional litter of puppies. Find out more about the application process.